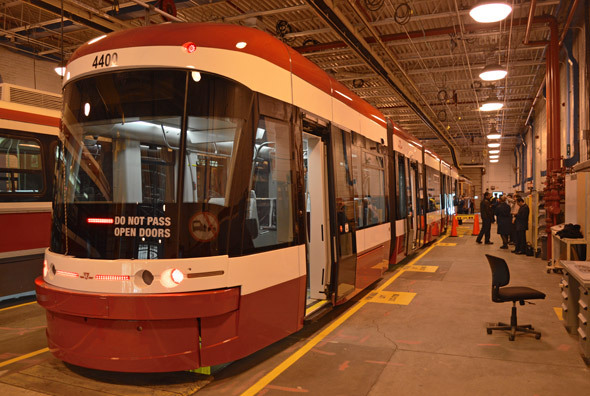 The TTC officially peeled most of the wrapping off one of its new streetcars this morning, giving members of the press a chance to poke around and coo over a working version of the cars that are due in working service on Toronto's streets in roughly a year. 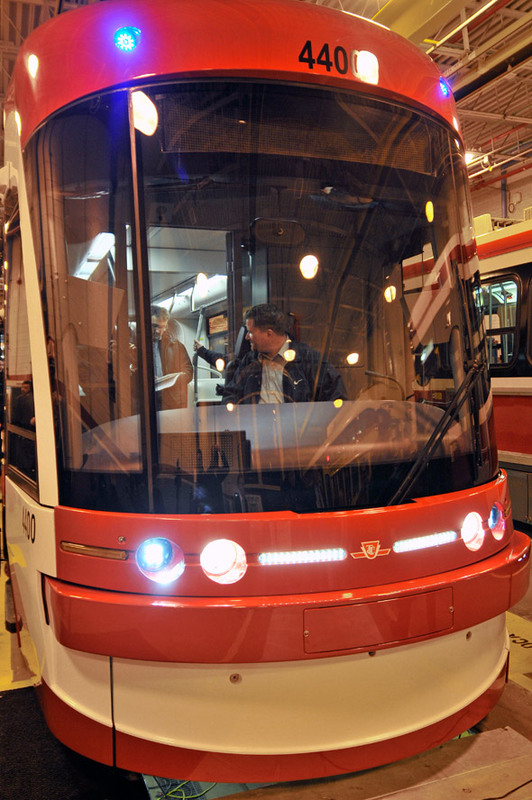 Maybe it's the LED lights, clean seats, and shiny, unscuffed bodywork, but sitting along side an example of each of its predecessors - a Peter Witt car, PCC, and CLRV, the vehicles currently making the rounds in Toronto - the Bombardier machines look remarkably futuristic. 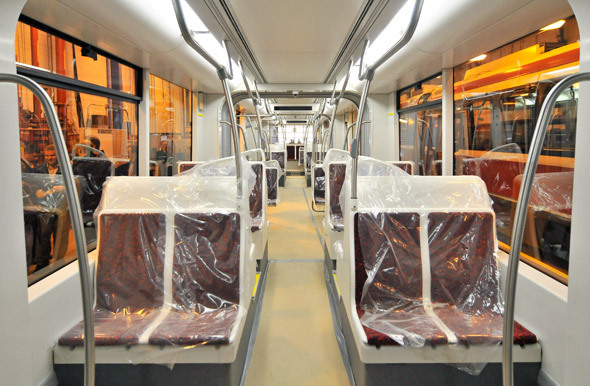 Perhaps the most noticeable difference is the sheer size of these new streetcars. Standing next to one at street level really gives a sense of just how much more space there is inside. 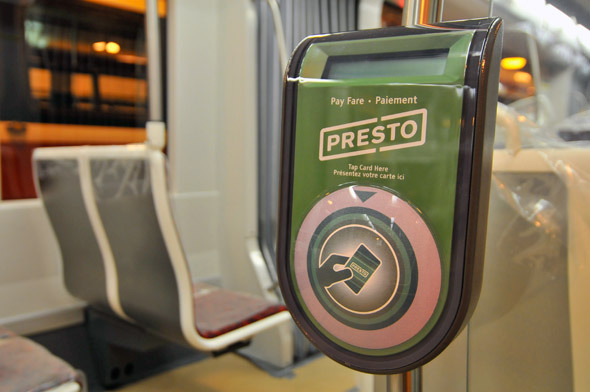 In terms of riding experience, multiple Presto readers will finally give transit users a chance to board via any door and pay without cash across system in earnest. The next step is the first road test scheduled for early next year. 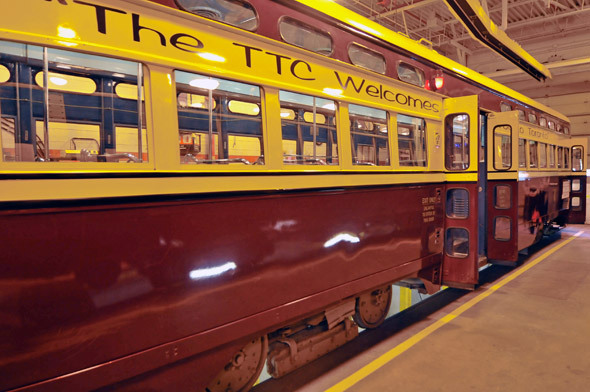 TTC CEO Andy Byford says Torontonians will be able to see the new vehicles tentatively making their way along existing streetcar routes in January. You won't be able to board just yet; the testing phase will be used solely to identify any potential issues with reliability and handling. 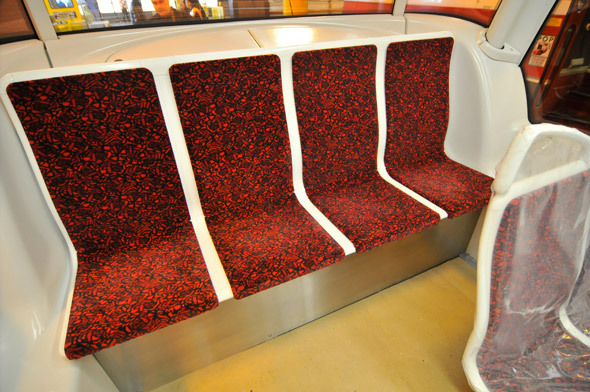 "We think we've got the design right but there's bound to be some minor points we'll need to change," says Byford. 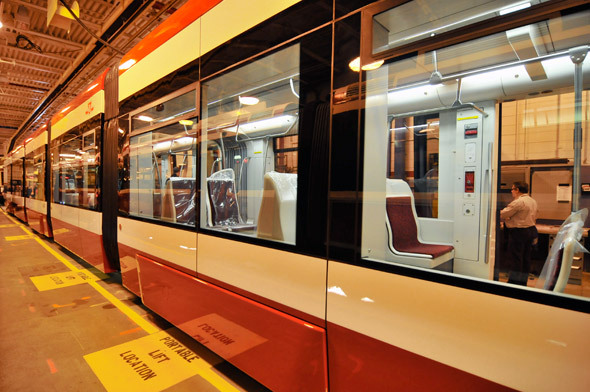 "I'm confident that at the end of 2013 we'll be able to say to Bombardier 'go ahead, start manufacturing' and we'll start the roll out of vehicles in 2014. 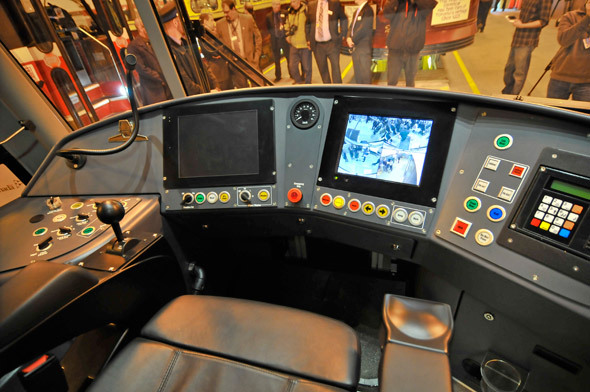 We'll completely replace the existing fleet within four years." 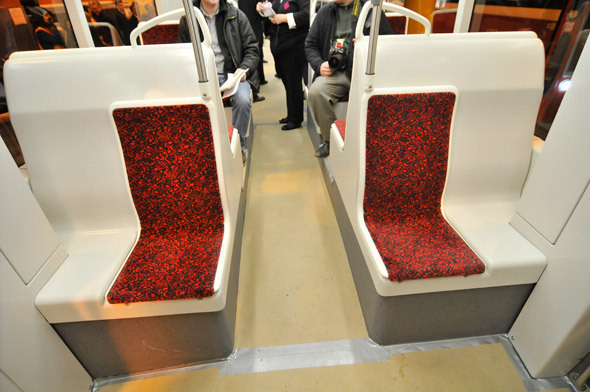 "It's once in a generation really ... it's a key piece in the jigsaw of our modernization at the TTC and it's demonstrable proof that we're serious about improving customer satisfaction." 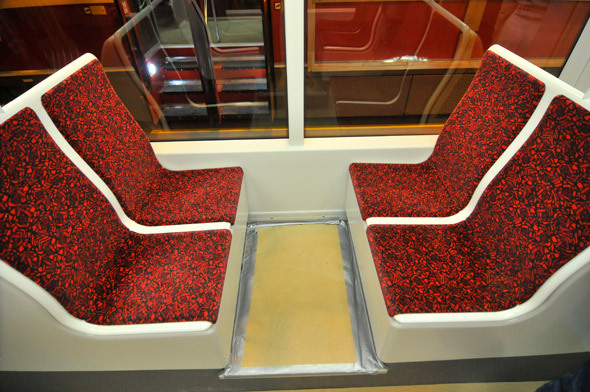 Give us your thoughts on the new streetcars below. 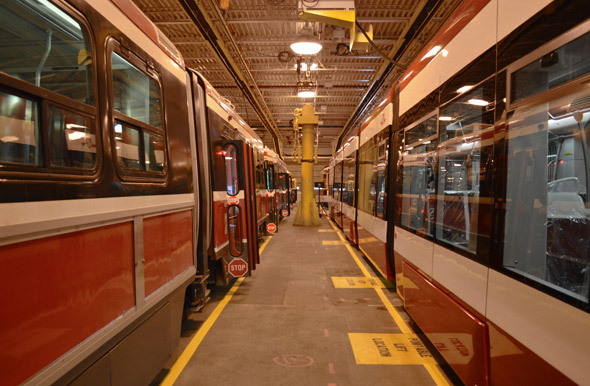 Are you excited to finally see Toronto's aging surface transit fleet get replaced? 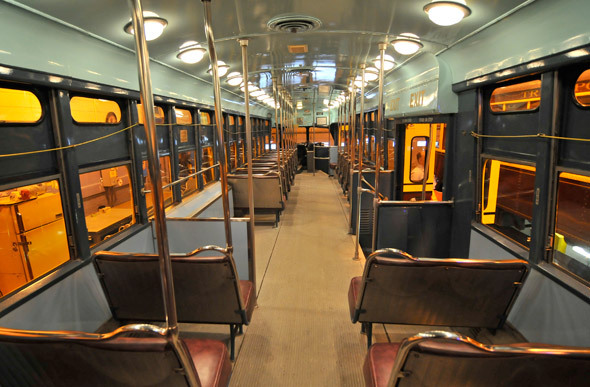 Will you miss the CLRVs and ALRVs?